Hello! I’m Tony Muratori and I’m a CHEK Practitioner on the Northern Beaches, Sydney. I specialise in corrective exercise, injury rehabilitation, sports conditioning and nutrition coaching, to get my client’s health back on track. My passion is helping others live a better-quality life without pain and restriction; and to educate them on making better nutrition and lifestyle choices that will support their overall health and wellbeing. I truly want to help people live their best life possible. How do I do this? 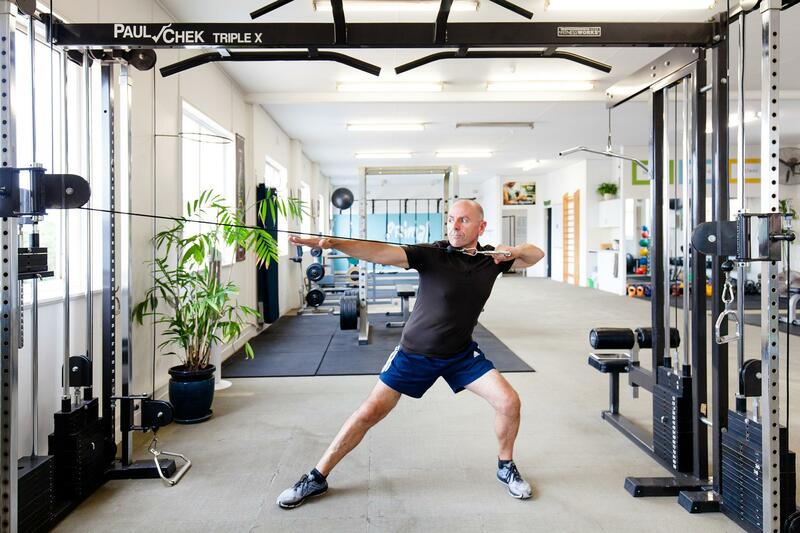 By combining my thirty years of fitness training experience, with my CHEK practitioner and holistic health coach qualifications, to deliver a highly professional and personalised service you won’t find anywhere else. I get results where others specialists have failed. Click here for more information about CHEK. Whatever health challenges you’re experiencing, my proven solutions will restore your life back to harmony. I take great care and pride in the way I manage your individual needs. I don’t apply a one-size-fits-all approach to anything; but rather coach you to have the necessary tools to manage your body, your health and your life. If you’re ready to work with someone who truly cares about you and your health, and wants to give you back your quality of life, then get in touch today! Contact me on 0417 218 755, or click here, to book your free, initial consultation today. My own rehabilitation from a life-threatening injury is what lead me to be the passionate trainer and coach that I am today. Here’s My Story. I grew up on the Northern Beaches and was a mad-keen sportsman and surfer. I was headed for the Australian Junior National Soccer Squad and Velodrome Junior Commonwealth institute when a horrific car accident changed my life forever. While my life swung in the balance, I underwent several life-threatening operations, including spinal fusion. Following this, I went through three long years of excruciating rehabilitation that helped me move from being wheelchair bound to walking again. Those three lost years taught me the value of physical and mental health and fitness. I was determined to share this experience and help people not only recover from injury, but also integrate a healthier lifestyle. I became qualified as Fitness Instructor and have spent thirty years training others to reach their fitness and health goals. I went on to become the owner-manager of Tony’s Gym Narraweena from 1988-1999 and was voted runner up in the small business awards as the most outstanding fitness business. I also have many years of experience as a teacher, mentor and coach to various gyms and fitness organisations; and in 2000 I was voted as the best personal trainer at Dee Why fitness first. In 2001 my life changed again when I attended a Paul Chek seminar. 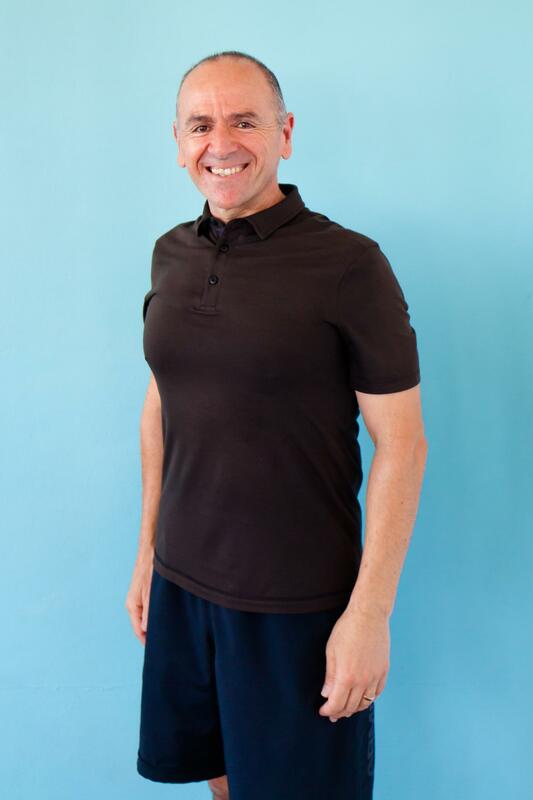 Inspired by Paul's scientific and holistic approach, I realised that CHEK was the key to improving my knowledge of training and health; as well as providing an educational path that would improve my client's quality of life. I went on to study with the CHEK Institute and have completed Chek Practitioner level1 and Holistic Lifestyle Coach Levels 1 and 2 advance training programs. My study with the Institute continues and my aim is to become one of the highest qualified CHEK Practitioners in Australia. Click herefor more information about CHEK. Corrective exercise to relieve chronic or re-occurring back, knee, shoulder pain; dysfunctional core issues, and postural imbalances. Rehabilitation training for sports or work-related injuries. The greatest thing I love about what I do is seeing the transformation in people’s lives. Giving back to their quality of life so they can do the things they love to do is simply incredible. Over the past thirty years, I have witnessed a lack of growth and evolution in the fitness and training industry. Through my study and training with the CHEK Institute in exercise and Holistic Health I was able to evolve my business and I now offer my clients one of the best training and health solutions out there. Why? Because it’s highly personalised and has their optimum health and wellness at heart. I’m also a great coach and motivator who is able to get the best out of my clients and I’m proud to say that not one of my clients has been injured or hurt in my thirty years as a trainer. I have a proven track record and work with many highly trained specialists, such as doctors and physios, who refer their clients to me. My clients often comment on the education they receive to help them make lasting changes to their body but also to improving their quality of life. I take the time to listen and evaluate what my clients really need; and most of my clients feel really positive about turning up to train because they know they’re going to feel great afterwards. I am 100% passionate about what I do. I live, eat and breathe my work because I want to see my clients’ health and fitness improve. My personal and professional mantra in life is: ‘There is nothing that cannot be achieved’. I love sharing my passion for healthy eating and exercise with my clients, and anyone who will listen, really! Being fit and healthy has always been part of my life, and the approach I use includes both exercise and nutrition so that my clients have a holistic approach to wellness. I am extremely passionate about creating and making positive change. Not only in my life but to my family’s life, and to the lives of others everywhere. I truly want to make the planet a better place - it’s what gets me out of bed in the morning. Let’s get started! Contact me on 0417 218 755, or click here, to book your free, initial consultation today.